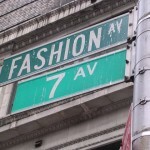 Private NYC Shopping tours are Always the way to go, as we can custom tailor your itinerary to perfectly suit your fashion aspirations and budget. Programs are for 3 or more guests. Spring Sample Sales commence mid May. To get your fix, all guests on our Garment Center Shopping Tours receive a complimentary list of all the worthwhile sample sales while they are in town. 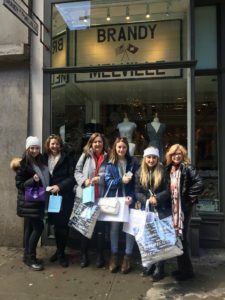 600 DECA High School Students from around the country were treated to a custom Fashion & Retail Educational program this week in SoHo & NoLita. Included were trends forecasting, sneaker production, seeing cool Street art, meeting an actual street Artist (even cooler)! and doing some fun personal and holiday Shopping! Looking to host a group outing for your students that is both educational and fun? 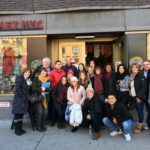 Shop Gotham offers private Student Group Shopping Tours in New York City that are fun for both the kids and chaperones alike! 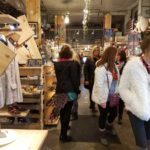 Our shopping tours can be fully customized to meet required needs and interests of the school, teachers and students at hand (the images above and below are from a Soho/Nolita Educational Shopping Tour tour that we hosted last week). 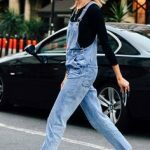 Students will have the opportunity to learn about merchandising, retailer business, fashion, trend forecasting, styling and of course, plenty of time to shop at all the greatest shops and boutiques in the city. Our chic Shop Gotham tour guides lead a truly VIP educational shopping experience, with exclusive discounts and unique finds guaranteed.